I took this shot this morning at low tide just outside of the Rockland, Maine breakwater. 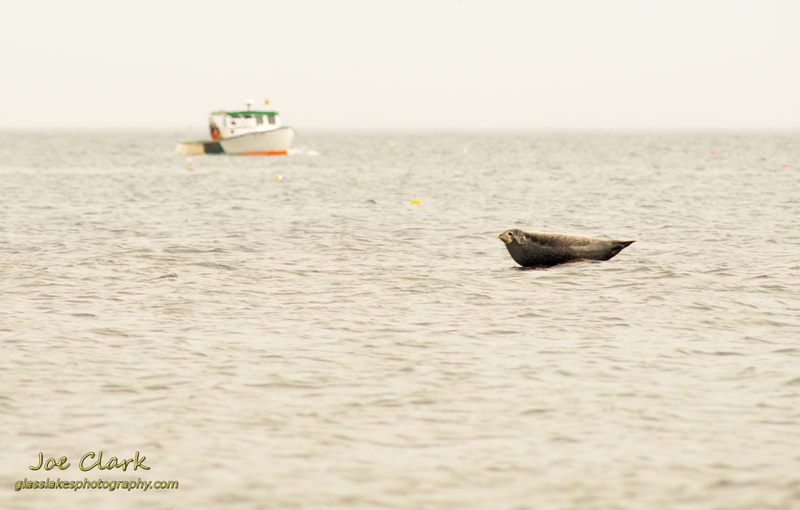 There where four seals sitting on a few rocks off shore about 200 yards. I took a few many images but they were lacking any depth, until the lobster boat came along in the background. It seemed to add a balance to the frame and a distinct sense of Maine. Shoot with a 200-500 at 500mm f/11 @ 1/500th ISO 800.